There are lots of benefits of bokashi composting your food scraps. Here are just a few of the reasons why we love bokashi! Science shows that the primary building blocks of all life begins with healthy, and diverse, microbial activity. Just as microbes play an essential part in our own body’s health, microbes also play an important part in the health of our soil and gardens. Simply put, plants thrive when the soil is full of beneficial microorganisms. And adding quality compost to the soil is the only way to get that. Bokashi compost is teeming with these beneficial microbes. Bokashi compost is an excellent foundation for building a healthy and productive soil structure. 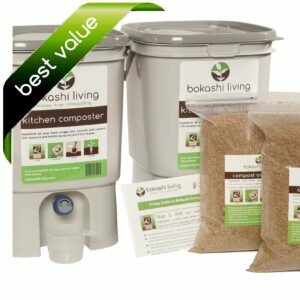 Your plants and garden will thrive on bokashi compost. Secondly, bokashi composting is easy to use and a fairly forgiving process. Our bokashi system uses a simple 4-step process; Add, Sprinkle, Bury, and Grow. With bokashi composting, there is no need for regular turning or balancing brown and green ratios. Simply add all your food waste to the bokashi bucket, add the bokashi bran and let the microbes do the rest. Another benefit of bokashi composting is the speed. With traditional composting you often need to wait a year, or longer, for your food waste to be turned into useable compost. 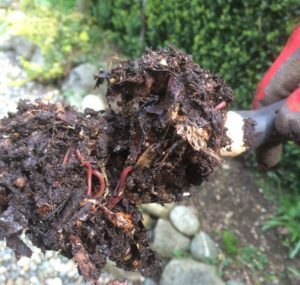 By using bokashi composting, your food scraps are transformed into high quality compost in just 4 to 6 weeks. Unlike other composting methods, bokashi composting allows you to compost all of your food waste. 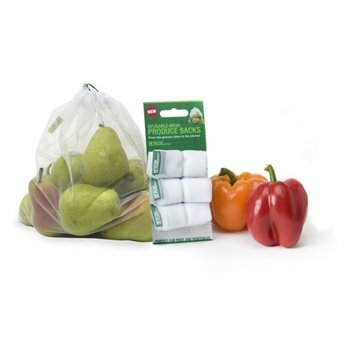 Cooked foods, dairy, meat, vegetables, bones and fruits can all go in your bokashi composter. No need to separate your organic waste. All of it can go in your bokashi bucket. Another benefit of bokashi composting is the smell, more precisely, the lack of smell. The bokashi process uses specially selected microbes to ferment your kitchen scraps. The bokashi kitchen composter, the pre-compost and the bokashi tea all have a sweet pickle-type smell, similar to home brew beer. This is far removed from the putrid, rancid smell associated with rotting foods. Also, as the bokashi bucket is an airtight container, when the lid is sealed, it produces no odor. Therefore you can keep your bokashi bucket in the convenience of you kitchen without the risk of unwanted odors. 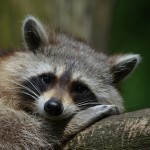 Common composting pests such as mice, rats, raccoons, flies and bears are not attracted to bokashi composting. Bokashi composting provides an easy and efficient way to compost all of your food waste without attracting unwanted pests. 7. It’s local, sustainable and low carbon! Traditional composting actually releases a lot if greenhouse gases to the atmosphere. In contrast, the anaerobic bokashi process releases little (if any) harmful greenhouse gas. Finally, your bokashi compost and fertilizing tea is locally produced! No more trips to your garden centre for compost; saving fuel and packaging. ← What can I put in my bokashi bucket?